When I moved to London 5 years ago, I bought a Spice Rack. This rack was already filled with 3 rows of herbs and spices, most of which I didn’t touch for, oooh I’d say about 3 years! Then I broke the pestle and mortar within its first 10 uses – good effort, I hear you mutter sarcastically! 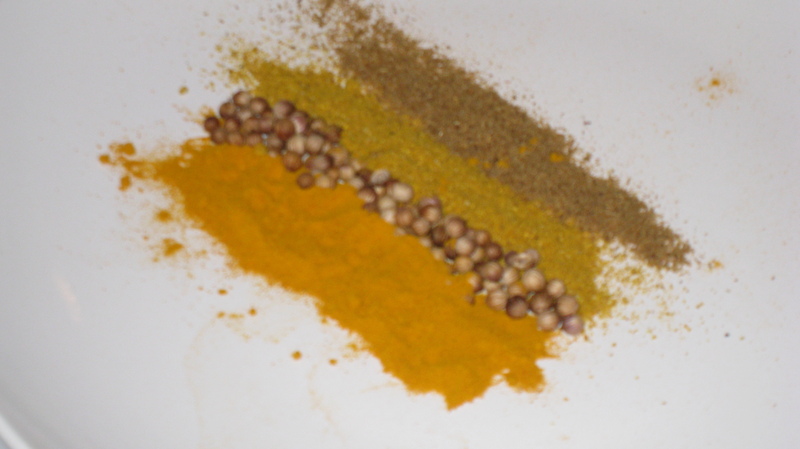 No pestle and mortar meant that I couldn’t use the spices I hadn’t touched for 3 years – enter the Law of the Sod – there was nothing I wanted to make more than a curry, from scratch. PANIC! (or) Have an Anniversary… I got given the most beautiful granite pestle and mortar, the only thing I now stand a chance of breaking is my toe; when I drop it. Pestle & Mortar – I got! A recipe – I make up, using mostly my sense of smell, once the smell made my mouth water – it would taste perfect! Pop all the spices into the pestle and mortar. Give them a right royal bashing up so that they are all mixed together and ALL the coriander seeds are really crushed! Add the garlic and bash some more! 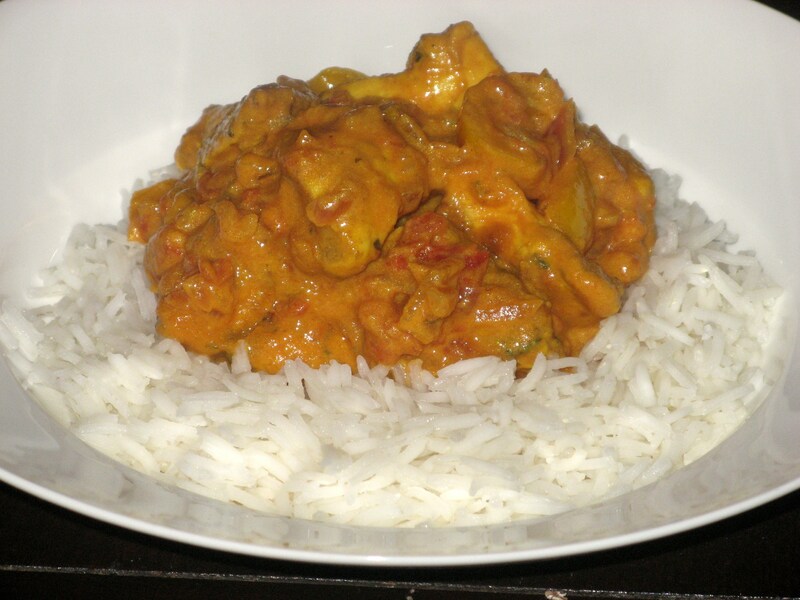 Cut the chicken breasts into curry sized chunks and place in a bowl. Boil the kettle for the rice. Heat up some oil in a pan, when it’s hot, add the chicken. Have a taste – if you like it tomatoey don’t worry about the creme fraiche – if, like me you like it a little creamier, add the dollop or two of creme fraiche and stir through. Serve on a bed of rice with a large shlop of Mango Chutney on top, with a Naan or Poppadom of course!! I know it’s quite a large ingredient list, but most of the stuff came with my spice rack and lets face it, how many of us have spices that we’ve NEVER used!! Go for it! Making a curry from scratch is so much more satisfying than opening a jar. It’s also cheaper and MUCH healthier than ordering a takeaway. FACT!